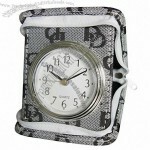 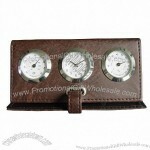 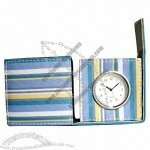 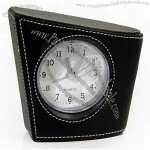 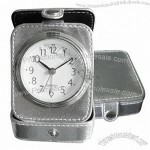 A leather travelling alarm clock which easy to carry.available in different colors and fashion designs. 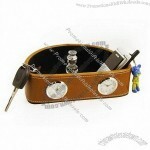 Provides a unique and classy look to the user. 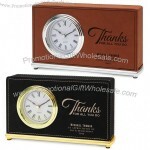 A unique promotional tool that can be customized with your logo or color imprint and gift box.a simple roll out clock which you can use to check the time . 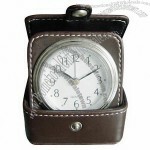 One needs a clock while travelling, the best one being Leather travel clocks. 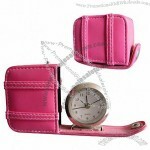 They are portable and trendy. 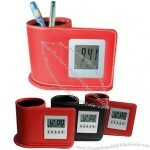 They include lots of features like alarm, fold style, swivel frame, closures and many more. 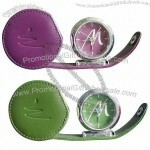 They are available in various colors and are easy to carry. 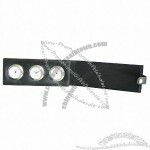 Few other have thermometer and hydrometer embedded in them. 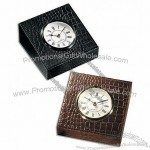 Irrespective of the light weight of the leather clock, you can find them trendy and stylish too available at a very low price. 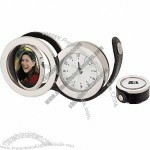 They occupy less space in your luggage. 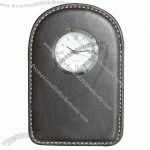 Leather travel clocks are available in different shapes like, rounded, rectangular, foldable, with wooden lining and with different timing standards like roman, quartz, numerical etc. 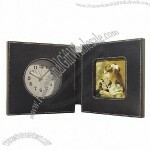 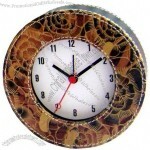 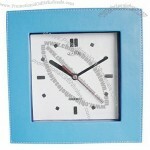 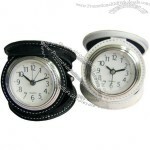 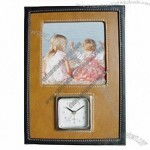 Custom-made Leather Clock From China Factory, Low price Leather Clock, Top Quality, True wholesale source for original!